Hunter’s Spear (Kimahri’s weapon) From one of the travelers on the Highroad (south end). Ice Brand (Tidus’ weapon) Chest behind the ruins. Echo Ring / Seeker’s Ring Obtained after the battle with Begelmine’s Ifrit. You will get Echo Ring if you win and Seeker’s Ring if you lose. 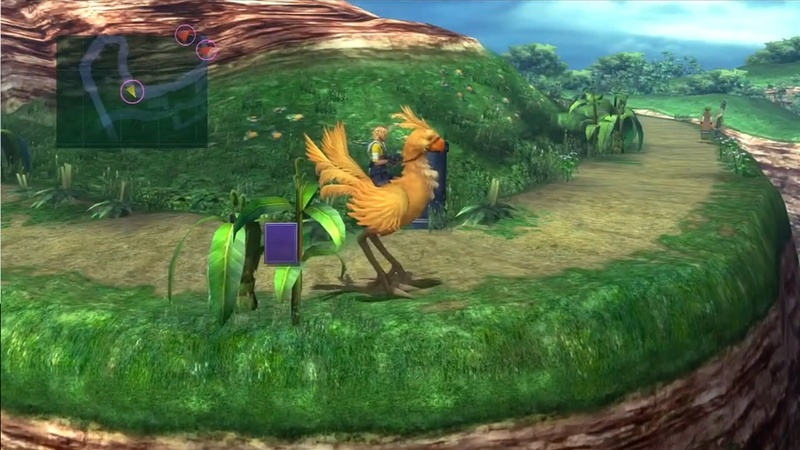 Remedy Chest behind the female crusader riding a Chocobo (south). Red Ring From the man traveling the South Highroad. Soft (x3) From the child who owns the Blitzblall. Do not kick it to get the item. Key Sphere (Level 1) From the man traveling on the Central Highroad. Antidote (x4) Person traveling on the Central Highroad. Ether Person on the left side of the Central Highroad (past the wagon). Hi Potion Person on the Central Highroad. Antidote (x4) Person on the Central Highroad. 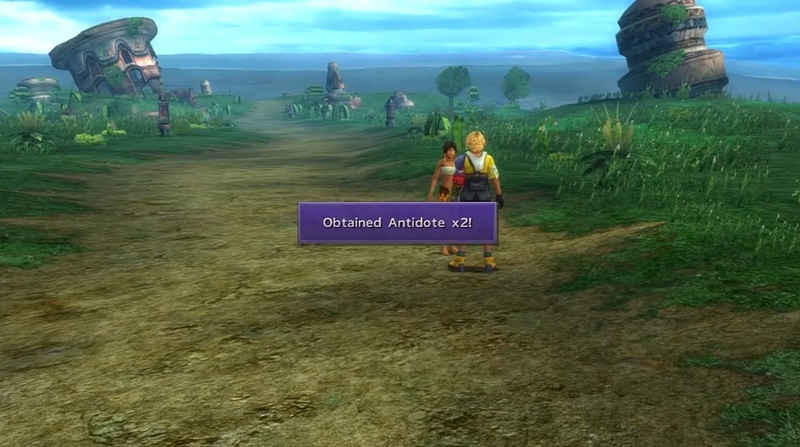 Eye Drops (x3) Chest at the end of the Central Highroad. Key Sphere (Level 1) From a young man in the Travel Agency as you leave the building. Al Bhed Primer vol. VIII From Rin at the Travel Agency. Key Sphere (Level 1) (x2) Reward for pushing the Chocobo Eater off the cliff. Heat Lance Chest along the Chocobo Trail (first feather). Al Bhed Primer IX. Chocobo Trail. Thunder Blade (Auron’s weapon) Chest along the Chocobo Trail (second feather). Scout (Wakka’s weapon) Chest along the Chocobo Trail (second feather). Can also be obtained by donating 100 Gil to the Crusader in front of Mushroom Rock Gate. Fortune Sphere Chest along the Chocobo Trail (third feather). Ice Lance (Kimahri’s weapon) Obtained by donating 1,000 Gil to the Crusader in front of Mushroom Rock Gate. Moon Ring Obtained by donating 10,000 Gil to the Crusader in front of Mushroom Rock Gate. Talk to the people as you go along the Highroad. Talk to Belgemine and battle her Ifrit. Continue along the path to reach the Al Bhed Agency. Travel the road to Mushroom Rock Gate using the Chocobo. Talk to Donna and Barthello. Head to the main gate and watch the cutscene. Talk to the Crusaders at the main gate. 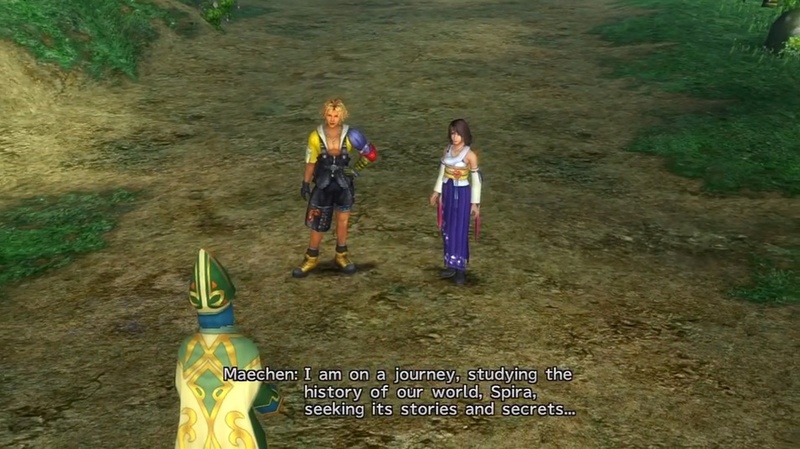 Turn back towards the Highroad and watch the cutscene. Proceed to Mushroom Rock Road. 1) Talk to people you meet on the Highroad. People on the Highroad will give you items as they recognize Yuna and give her gifts. You will encounter many different enemies while traveling on the Highroad. Your first battle pits you against some heavily-armored Raldos that have high defense. Have Auron in your active party, since his attacks can pierce through armored enemies. Floating Eyes can be dealt with easily if Wakka attacks them, same as most flying enemies in the game. His Dark Attack is especially useful for blinding many of the hard-hitting monsters you encounter, specifically the Dual Horns. Lulu’s magic is very effective on Bombs and White Elements. Use Blizzard on Bombs and Fire on White Elements to make quick work of them. All other enemies can be dealt with normally. You can take the time to learn abilities for Kimahri by using Lancet on some of the enemies on the Highroad as well. You can obtain the Overdrives Fire Breath from Dual Horns and Self Destruct from the Bombs. It is also worth mentioning that the Highroad is a good place to fill Yuna’s Overdrive gauge for an upcoming Aeon battle. It is not necessary to win the battle against Belgemine’s Ifrit. Ifrit alternates between using its normal attack and Meteor Strike, using Hellfire when it has fully-charged its Overdrive gauge. You can unload on Ifrit using Yuna’s Overdrive to burst it down. Valefor’s Blizzard also works well on the flame Aeon. To up your survivability, cast Shield before Ifrit throws out Meteor Strike. You will receive an Echo Ring for winning the fight. If you lose, you will receive a Seeker’s Ring. 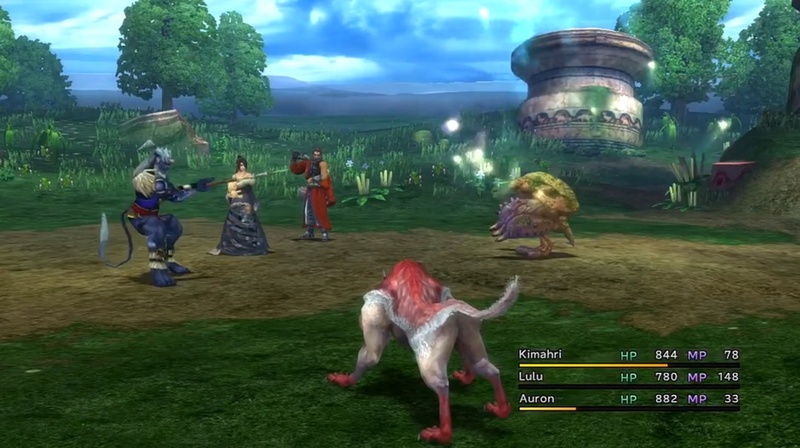 Have Wakka, Kimahri, and Auron in the active party. 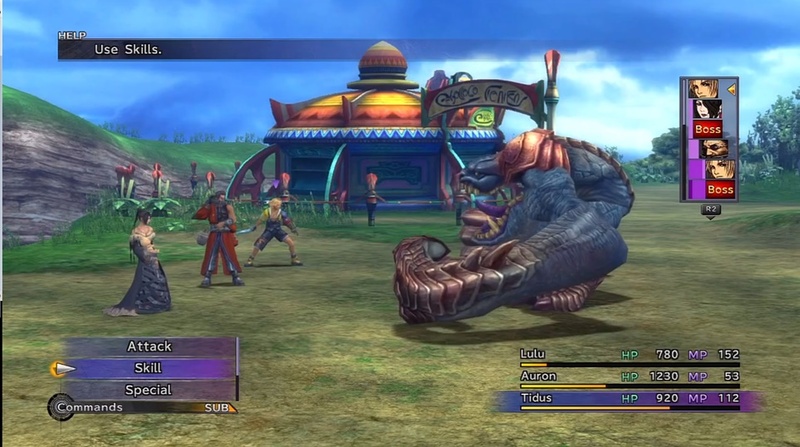 When the battle begins, have Wakka use Dark Attack to significantly lower the chance of being hit by the boss’ attacks. Since the Chocobo Eater is an armored enemy, Auron and Kimahri’s piercing attacks will be effective. 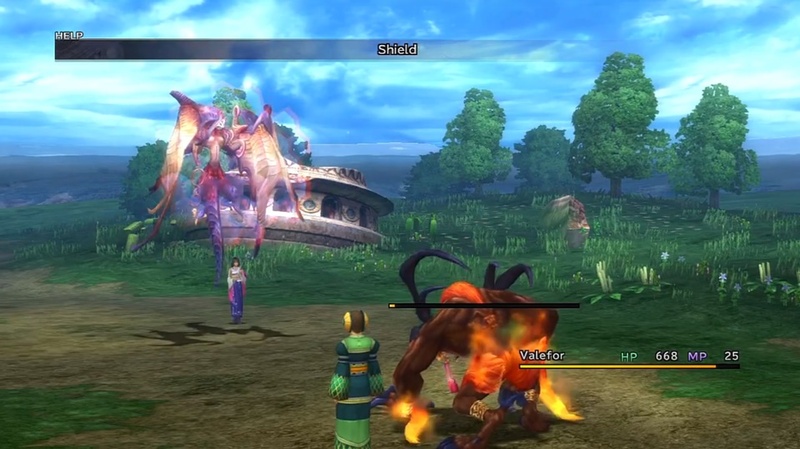 You can also have Auron use Power Break to decrease the boss’ attack when it does manage to land hits on you. When you manage to topple over the Chocobo Eater, you can take out Tidus and use Haste to gain a speed advantage. 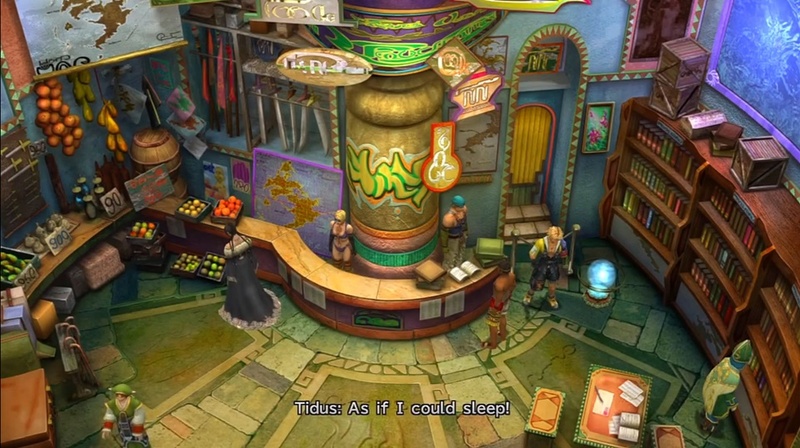 The boss’ rear is also not armored, so you can have Tidus and Wakka attack at this stage. You can also let Lulu cast Fire or Fira to stack even more hurt onto the boss. Kimahri’s Fire Breath Overdrive is a good attack to throw out as well. You will receive two Key Spheres (Level 1) if you manage to push the Chocobo Eater off the cliff, so try to push it back rather than kill it. There are two paths to Mushroom Rock. 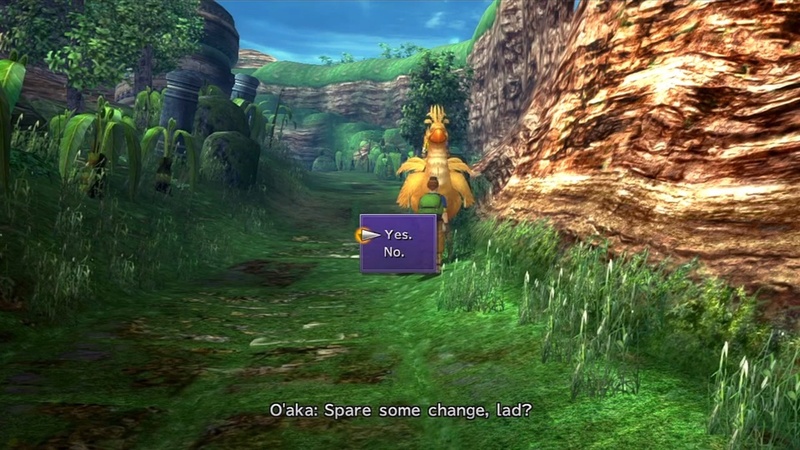 The first and arguably better one is to take the Chocobo Path which lets you gather some items along the way. The second is to take the Old Road, which only lets you obtain the Mars Crest. 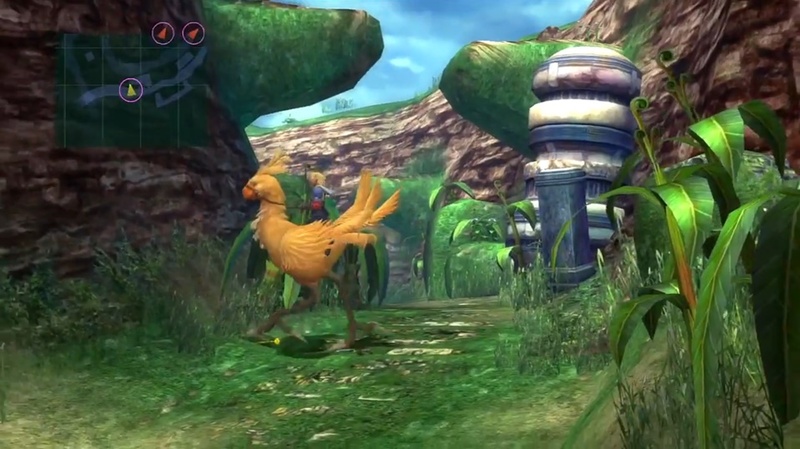 Take the Chocobo path and ride it until you reach the second section of the trail. 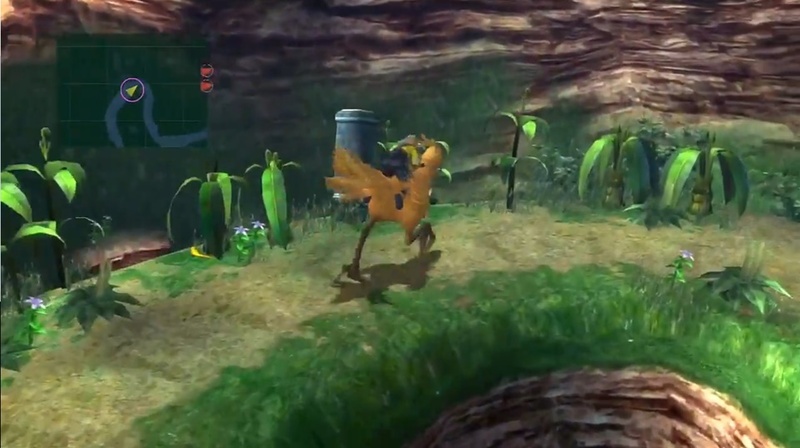 You will be able to jump to a section indicated by the Chocobo feathers encountered along the way. 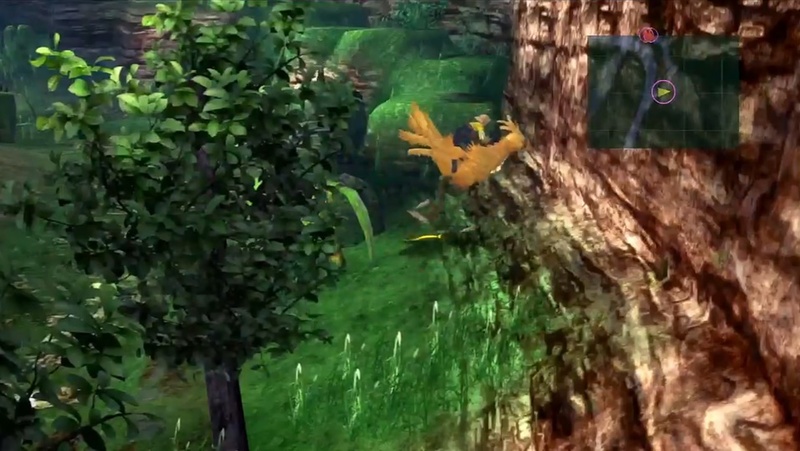 The first Chocobo Feather is somewhere on the trail when it begins to loop to the right. Head to the chest on the rock to get Heat Lance. Continue along the path to get Al Bhed Primer vol. IX. When you arrive at Mushroom Rock Gate, open the chest next to the young Crusaders to get Hi-Potion. Don’t go into the gate just yet. Instead, make a detour to the right down the path leading to a narrow trail. 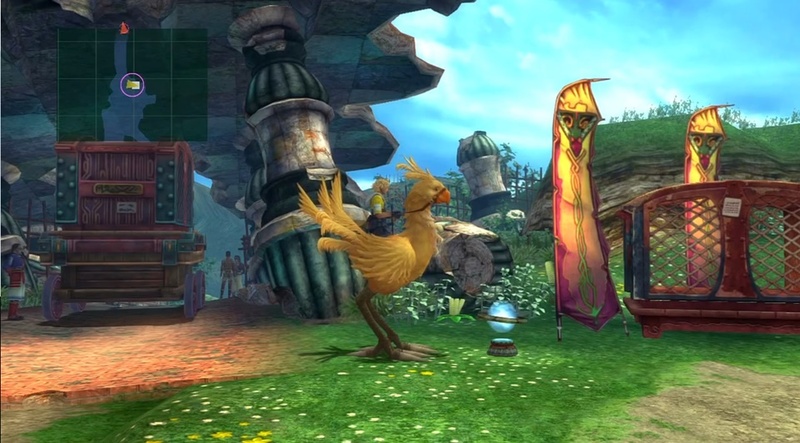 There will be a chocobo feather on the left where you can jump up to and get Thunder Blade and Scout. Continue down the lower path. 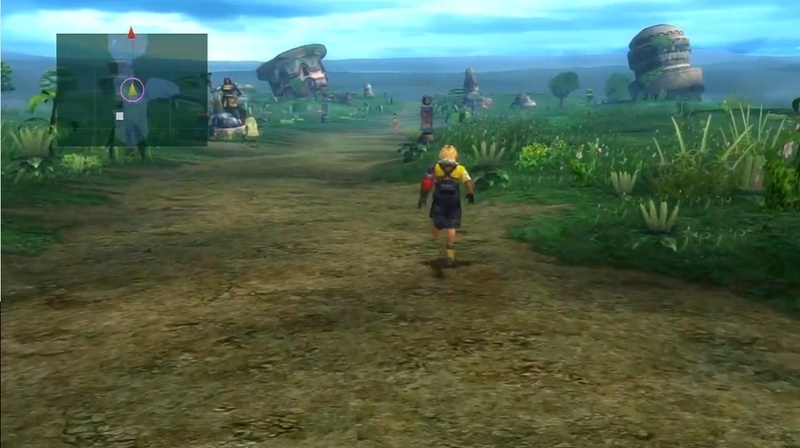 Look at the mini-map to find a split path, with the path on the left somewhat broken, where another Chocobo feather can be found. Jump on the marked path and get a Fortune Sphere. Before proceeding to Mushroom Rock Gate, you will find O’aka XXIII again for your last chance to lend him some Gil. Note that having lent him a total of 10,001 Gil or more lets you buy items from him at 30% off.